Find a Diana Ross Tribute Act for hire near you in minutes! Option 1. Enter your event location below & contact a Diana Ross Tribute Act directly! Option 2. Request multiple quotes from available Diana Ross Tribute Acts Get Quotes! Option 3. 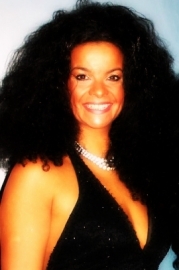 Read information & advice on hiring Diana Ross Tribute Acts Read Advice! WANT TO KNOW MORE ABOUT Diana Ross TRIBUTE ACTs? Read on for the most comprehensive guide to booking a Diana Ross Tribute Act, including how much a Diana Ross Tribute Act costs, exactly what they will do at your event, plus tips, advice and information to help make your event one to remember! What exactly will a Diana Ross TRIBUTE ACT do at your event? Diana Ross is considered one of the best singers of all time with hits that span the 1960’s to the present day! Hire a Diana Ross Tribute Act and you can expect to hear songs from The Supremes as well as Diana’s glistening solo career! As well as all of the well known hits by Diana Ross such as ’Stop! in the name of Love’, ‘Can’t Hurry Love’, ‘Chain Reaction’, ‘Endless Love’, ‘Ain’t No Mountain High Enough’ and ‘Baby Love’, you can expect the Diana Ross Tribute Act to cover lesser known album tracks from classic albums by Diana Ross including; ‘’Diana Ross’, ‘Diana’, ‘Ross’, The Wiz Soundtrack’, ‘Love Child’ and also the album that Diana collaborated on with Marvin Gaye, called simply ‘Diana and Marvin!’. The Diana Ross Tribute Act will sound just like the real thing and will also dress in the styles of Diana Ross! Expect glamourous 1960’s dresses, immaculate eye make-up and striking black hair! From a distance, it will seem like the real Diana Ross is in the room with you! Mainly, an Diana Ross Tribute Act will entertain your audience with a fantastic live show that will put the wow factor into celebrations and impress your guests, whatever their entertainment tastes may be. Mainly, an Diana Ross Tribute Band will entertain your audience with a fantastic live show that will put the wow factor into celebrations and impress your guests, whatever their entertainment tastes may be. What event types are Diana Ross Tribute ACTs hired for? If you are mad about Diana Ross, then you might require a Diana Ross Tribute Act for your wedding ceremony entertainment! The Diana Ross Covers Band will play some of the greatest hits of Motown as your wedding guests are entering the wedding ceremony! To keep the mood lifted and to set a lovely atmosphere, we would advise for the Diana Ross impersonator to sing songs such as ‘Ain’t no Mountain High Enough’, which is Diana’s great duet with the late, great Marvin Gaye. For when the bride is walking down the aisle, you might want to request a song such as ‘Endless Love’ be sung live. ‘Endless Love’ was the hit duet that Diana sung with Lionel Ritchie and remains one of the most popular wedding ceremony hits of all time! Hire a Diana Ross impersonator for the wedding drinks reception entertainment and you will have a room full of happy wedding guests! For the wedding drinks reception, we would advise to hire a Diana Ross Tribute Act to perform stripped down versions of some of the best hits of the 60’s and 70’s! You may request to hear songs such as ‘Baby Love’ and ’Stop! In the name of Love!’. Great background music for when the wedding guests are enjoying the Champagne and refreshments! Book a Diana Ross lookalike for your wedding breakfast entertainment and you can expect a dazzling tribute to one of the world’s best singers! The Diana Ross soundalike can run through hit after hit as the wedding guests sit down and eat the wedding breakfast courses! The Diana Ross Tribute may perform as a solo singer over backing tracks, or they may also come as part of a full band. For the wedding breakfast, we would advise for the Diana Ross Tribute Singer to sing songs such as ‘My Old Piano’, and ‘Love is all that Matters’. An excellent and riveting choice of live music just before the wedding speeches! The music of Diana Ross will be appeal to everyone at your wedding evening reception as it is the perfect type of party music! The Diana Ross Tribute Act will run through the best of Diana Ross which will include ‘Upside Down’, ‘Love Hangover’, ‘The Boss’ and ‘I’m Coming Out’. The Diana Ross Tribute Act will thrill friends and family at your wedding evening reception and can cover some of the greatest love songs of Diana Ross as the couple take to the floor for the all important first dance! For this special moment, we would advise for the Diana Ross impersonator to sing something like ‘Ain’t no Mountain High Enough!’. The music of Diana Ross is universal and ageless and Diana’s fanbase ranges from the elderly to young children. This is why a Diana Ross Tribute Act would be great entertainment your product launch! Passing crowds will stop in their tracks to witness a Diana Ross lookalike singing the hits of the 1960’s, 70s and 80’s and this will undoubtedly lead to interest in your product! If you are searching for a great musical entertainer for your work party which appeals to everybody, then a Diana Ross Tribute Act may be the best option for you! Whether you prefer Rock music, Hip-Hop or RnB, the music of Diana Ross and Motown is irresistible to everyone! Whether it’s a work Summer party, a colleague’s leaving party or a Christmas party, a Diana Ross impersonator will have everybody singing along in unison, which will be a brilliant bonding experience for all of your coworkers! You may be searching for great musical acts for your cruise ship or holiday camp live music? A Diana Ross Tribute Act will tick all of the boxes when it comes to holiday entertainment! The Diana Ross Tribute will sing classic 1960’s and 1970’s Motown songs which will include ‘You Keep me Hangin’ On’. ‘Someday we’ll be Together’ and ‘Come See About Me’. As the Queen of Motown, the music of Diana Ross is all about celebrating and making the most out of every moment, hence why hiring a Diana Ross Tribute Act for your party would be a brilliant move! The hired Diana Ross impersonator will run through the best of Diana Ross at your birthday party, performing songs such as ‘Ain’t no Mountain High Enough’, ‘Chain Reaction’ and ‘Endless Love’. There are so many Diana Ross songs to pick from, you’ll truly be spoilt for choice! You may be looking for the perfect musical entertainer for your 1960’s themed party? As lead singer with The Supremes in the 1960’s, Diana Ross became a global superstar! You can expect to hear songs such as ‘You Can’t Hurry Love’, ’Stop! In the name of Love’, ‘Baby Love’ and ‘Where did our Love Go’. All were massive hits for Motown in the 1960’s and everyone at your party will dance and sing along these timeless classics! How much do Diana Ross tribute ACTS cost to hire? Our simple to use entertainment directory allows you to firstly search for the best Diana Ross Tribute Acts who are local (or travel to your area) and then via the contact form you may message them directly to enquire for a no obligation quote to perform at your event. Some acts will also add a rough price guide to their profile for your convenience. What are the usual set formats and performance lengthS for Diana Ross tribute acts? A Diana Ross Tribute Act can tailor their performance times to suit you and your event, however, on average, a professional Diana Ross Tribute Act will perform for two 45 minutes sets. How much space will a Diana Ross tribute act need at your event? If your Diana Ross Tribute Act comes as part of a full band, then you will need space for a full band back-line. This will mean that you’ll need a stage area of at least 4 metres by 3 metres. What equipment and set up requirements do Diana Ross tribute acts need? As with most artists who sign up to Entertainersworldwide.com, a Diana Ross Tribute Act will provide all of their own equipment. You may want to enquire if they need a PA to amplify their sound, in which case we would advise to use our easy to use messaging service to find out. We do ask that each performer gets a backstage area in which they can prepare for the performance ahead. If your venue does not have a backstage area, then we kindly ask that you enquire with the venue to seek an alternative space in which the performer can comfortably get ready to entertain. How can you find and book a Diana Ross tribute Act with Entertainersworldwide.com? 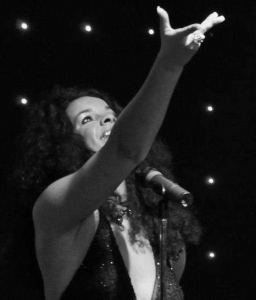 WANT TO RECEIVE A RANGE OF QUOTES FROM Diana Ross Tribute Acts?